DVD of the Extraterrestrial Civilisations and World Peace Conference. The Fiftieth Anniversary of First Contact? On the night and early hours of February 20-21, 1954, while on a ‘vacation’ to Palm Springs, California, President Dwight Eisenhower went missing and allegedly was taken to Edwards Air force base for a secret meeting. When he showed up the next morning at a church service in Los Angeles, reporters were told that he had to have emergency dental treatment the previous evening and had visited a local dentist. The dentist later appeared at a function that evening and presented as the ‘dentist’ who had treated Eisenhower. The missing night and morning has subsequently fueled rumors that Eisenhower was using the alleged dentist visit as a cover story for an extraordinary event. The event is possibly the most significant that any American President could have conducted: an alleged ‘First Contact’ meeting with extraterrestrials at Edwards Air Force base (previously Muroc Airfield), and the beginning of a series of meetings with different extraterrestrial races that led to a ‘treaty’ that was eventually signed. This astonishing First Contact event, if it occurred, will experience its 50th anniversary on February 20-21, 2004. This paper explores the evidence that the First Contact meeting had occurred with extraterrestrials with a distinctive ‘Nordic’ appearance, the likelihood of an agreement having been spurned with this ‘Nordic race’, the start of a series of meetings that led to a treaty eventually being signed with a different extraterrestrial race dubbed the ‘Greys’, and the motivations of the different extraterrestrial races involved in these treaty discussions. The paper will further examine why these events were kept secret for so long, the significance of the 50th anniversary of Eisenhower’s meeting with extraterrestrials, and whether an official disclosure announcement is likely in the near future. Eisenhower’s 1954 Meeting With Extraterrestrials: The Fiftieth Anniversary of First Contact? Second, on the Saturday night of February 20, President Eisenhower did go missing fueling press speculation that he had taken ill or even died. In a hastily convened press conference, Eisenhower’s Press Secretary announced that Eisenhower had lost a tooth cap while eating fried chicken and had to be rushed to a local dentist. The local dentist was introduced at an official function on Sunday February 21, as “the dentist who had treated the president”. Moore’s investigation of the incident concluded that the dentist’s visit was being used as a cover story for Eisenhower’s true whereabouts. Consequently, Eisenhower was missing for an entire evening and could easily have been taken from Palm Springs to the nearby Muroc Airfield, later renamed Edwards Air Force base. The unscheduled nature of the President’s vacation, the missing President and the dentist cover story provide circumstantial evidence that the true purpose of his Palm Springs vacation was for him to attend an event whose importance was such that it could not be disclosed to the general public. A meeting with extraterrestrials may well have been the true purpose of his visit. Of course no such formal announcement was made, and Light’s supposed meeting has either been the best-kept secret of the twentieth century or the fabrication of an elderly mystic known for out of body experiences. The events Light describes in his meeting in terms of the panic and confusion of many of those present, the emotional impact of the alleged landing, and the tremendous difference of opinion on what to do in terms of telling the public and responding to the extraterrestrial visitors, are plausible descriptions of what may have occurred. Indeed, the psychological and emotional impact Light describes for senior national security leaders at the meeting is consistent with what could be expected for such a ‘life changing event’. A further way of determining Light’s claim is to investigate the figures he named along with himself as part of the community delegation, and whether they could have been plausible candidates for such a meeting. Dr Edwin Nourse (1883-1974) was the first chairman of the Council of Economic Advisors to the President (1944-1953) and was President Truman’s chief economic advisor. Nourse officially retired to private life in 1953 and would certainly have been a good choice of someone who could give confidential economic advise to the Eisenhower administration. If Dr Nourse was present at such a meeting, he did so in order to provide his expertise on the possible economic impact of First Contact with extraterrestrials. Another of the individuals mentioned by Light was Bishop MacIntyre. Cardinal James Francis MacIntyre was the bishop and head of the Catholic Church in Los Angeles (1948-1970) and would have been an important gauge for the possible reaction from religious leaders generally, and in particular from the most influential and powerful religious institution on the planet – the Roman Catholic Church. In particular, Cardinal MacIntyre would have been a good choice as a representative for the Vatican since he was appointed the first Cardinal of the Western United States by Pope Pius XII in 1952. All Cardinal MacIntyre’s correspondence is closed to researchers thus making it impossible to confirm what impact the visit to Muroc had on him and what he communicated to other church leaders and the Vatican. Cardinal MacIntyre had sufficient rank and authority to represent the Catholic Church and the religious community in a delegation of community leaders. The fourth member of the delegation of community leaders was Franklin Winthrop Allen, a former reporter with the Hearst Newspapers Group. Allen was 80 years old at the time, author of a book instructing reporters on how to deal with Congressional Committee Hearings, and would have been a good choice for a member of the press who could maintain confidentiality. The four represented senior leaders of the religious, spiritual, economic and newspaper communities and were well advanced in age and status. They would certainly have been plausible choices for a community delegation that could provide confidential advise on a possible public response to a First Contact event involving extraterrestrial races. Such a selection would have constituted a ‘wise men’ group that would have been entirely in character for the conservative nature of American society in 1954. While Light may well contrived such a list in a fabricated account or ‘out of body’ experience as Moore implies in his analysis, there is nothing in Light’s selection that eliminates the possibility that they were plausible members of such a delegation. At face value then, the selection of such a ‘wise men’ group gives some credence to Light’s claim. It may be concluded then that following items all make up circumstantial evidence that a meeting with extraterrestrials occurred. The first is Eisenhower’s missing night. The second is the weak ‘cover story’ used for Eisenhower’s absence. The third is Light’s description of actual events at the meeting in terms of the psychological and emotional impact of the described meeting which is consistent with what could be anticipated. The final is Light’s description of the composition of community leaders or ‘wise men’ at the meeting. These four items collectively provide circumstantial evidence that a meeting with extraterrestrials occurred and that Eisenhower was present. There are a number of other sources alleging an extraterrestrial meeting at Edwards Air force base that corresponded to a formal First Contact event. These sources are based on testimonies of ‘whistleblowers’ that witnessed documents or learned from their ‘insider contacts’ of such a meeting. These testimonies describe what appears to be two separate sets of meetings involving different extraterrestrial groups who met either with President Eisenhower and/or with Eisenhower administration officials over a short period of time. The first of these meetings, the actual ‘First Contact’ event, did not lead to an agreement and the extraterrestrials were effectively spurned. The second of these meetings did lead to an agreement, and this has been apparently become the basis of subsequent secret interactions with extraterrestrial races involved in the ‘treaty’ that was signed. There is some discrepancy in the sequence of meetings and where they were held, but all agree that a ‘First Contact’ meeting involving President Eisenhower did occur, and that one of these meetings occurred with his February 1954 visit to Edwards Air force base. The significant point about Cooper’s version is that the humanoid extraterrestrial race was not willing to enter into technology exchanges that might help weapons development, and instead was focused on spiritual development. Significantly, the overtures of these extraterrestrials were turned down. There is some discrepancy in the testimonials as to which Air force base the spurned extraterrestrials met with President Eisenhower and/or Eisenhower administration officials. Cooper claims this occurred at Homestead Air force base in Florida, and not Edwards. On the other hand Lear and Suggs suggest it occurred at Edwards. In his letter, Gerald Light pointed to intense disagreement amongst Eisenhower officials in responding to the extraterrestrials at the Edwards AFB meeting. Such intense disagreement may predictably have occurred if national security officials were responding to an extraterrestrial request to abandon the pursuit of weapons technologies. Given the intensity of the Cold War, the national security officials present may well have decided it was more prudent to seek better terms before agreeing to the extraterrestrials request. Light’s testimony implies that the meeting at Edwards did not result in an agreement, but instead resulted in intense disagreement between Eishenhower officials. Consequently, I will conclude that the Lear and Suggs version is more accurate, and that the ‘First Contact’ meeting occurred at Edwards Air force base in February 20-21, 1954. Col Phillip Corso, a highly decorated officer that served in Eisenhower’s National Security Council alluded to a treaty signed by the Eisenhower administration with extraterrestrials in his memoirs. He wrote: “We had negotiated a kind of surrender with them [extraterrestrials] as long as we couldn’t fight them. They dictated the terms because they knew what we most feared was disclosure.”  Corso’s claim of a ‘negotiated surrender’ suggests that some sort of agreement or ‘treaty’ was reached which he was not happy with. What Do We Know of the Grey Extraterrestrials that signed the Treaty? Macarthur may well have been alluding to the same extraterrestrials that Corso, Cooper and Lear believed had entered into an agreement with the Eisenhower administration. In the cases of the witnesses cited so far, Cooper, Schneider, Lear, Wolf, all have been subjected to some or all of these strategies thereby making it difficult to reach firm conclusions about their testimonies. Since the creation of controversy, uncertainty, and confusion is the modus operandi of military-intelligence agencies in maintaining secrecy of the extraterrestrial presence, then the testimonies of former officials/employees/witnesses need to be considered on their merits. While issues of credibility, credentials, disinformation are important in the study of the extraterrestrial presence, a rigorous methodology for dealing with the efforts of military-intelligence agencies to discredit, intimidate or create controversy around particular witnesses, has yet to be developed. For example, numerous efforts to discredit Cooper in particular by referring to inconsistencies in his statements, retractions, egregious behavior and stated positions, may be due in part or in whole to the policy of military-intelligence officials to discredit and/or intimidate Cooper from leaking classified information that he may very well have witnessed in his official capacities. Since Cooper’s military record does indicate he did serve in an official capacity on the briefing team of the Commander of the Pacific Fleet, it is most likely that much of his testimony is credible. Whatever inaccuracies exist in terms of his recollections of the timing of meetings between the Eisenhower administration and extraterrestrials may either have been due to memory lapses or perhaps deliberately introduced as a self-protective mechanism. It has been pointed out by some ‘whistleblowers’ that making retractions or sowing inaccuracies in testimonies is sometimes essential in disseminating information without being physically harmed. The controversial Cooper had been subjected to undoubtedly the longest and most intense military-intelligence efforts to discredit or intimidate any whistleblower revealing classified information. The non-disclosure policy developed for the extraterrestrial presence is most likely due to a profound policy dilemma on the part of responsible national security officials. This dilemma comes from uncertainty over what the true benefits of the purported 1954 treaty were, and what the consequences of the treaty would be. 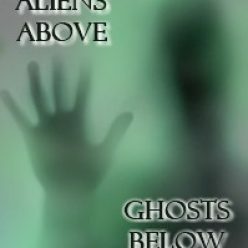 While the signing of the treaty provided US national security agencies an opportunity to study extraterrestrial technologies, and to observe the extraterrestrial biological program with abducted civilians, it appeared the treaty was not as beneficial as was first thought due to excessive abductions of US civilians. The subsequent behavior of the Greys in their interactions with US national security agencies was the most likely reason for deferring a decision to release news of the treaty and the extraterrestrial presence to the global public. According to Lights’ testimony, Eisenhower had indicated to those present on February 20-21, 1954, that an announcement would be made soon after the First Contact event. Since this didn’t occur, and a treaty was eventually signed with a different group of extraterrestrials, the Greys, this suggested that the national security agencies were deeply divided over the wisdom of disclosing this information, and alarmed by the possible public reaction to the Grey activities. In the councils of government, we must guard against the acquisition of unwarranted influence, whether sought or unsought, by the military industrial complex. The potential for the disastrous rise of misplaced power exists and will persist. We must never let the weight of this combination endanger our liberties or democratic processes. We should take nothing for granted. Only an alert and knowledgeable citizenry can compel the proper meshing of the huge industrial and military machinery of defense with our peaceful methods and goals, so that security and liberty may prosper together. If the President was dissatisfied with the non-disclosure of the extraterrestrial presence, then his speech was indicating that the responsible national security agencies were both dominating public policy and taking a ‘hard-line approach’ that was inconsistent with American democratic ideals. In the subsequent decades, it appears that on a number of occasions, official disclosure was seriously contemplated. For example, Robert Emenegger and Allan Sandler claimed they were approached by the Pentagon in 1972 to produce an officially sanctioned video that would be used for official public disclosure of the extraterrestrial presence. When the offer was later withdrawn, the reason given was that the time was no longer suitable due to the Watergate Scandal. While it is undoubtedly true that political factors would impact on making a formal disclosure announcement, it is more likely the case that non-disclosure was caused by lack of clarity over what the true motivations of the extraterrestrials were, and the impact an announcement would have on extraterrestrial activities. Making any announcement of the extraterrestrial presence would naturally have lead to questions concerning the extraterrestrials’ motivations and activities. If officials couldn’t agree on appropriate answers, they most likely decided that it was better to defer disclosure rather than threaten national security by making inaccurate announcements. The precise nature of the extraterrestrial abductions and the medical programs implemented by the Greys has been extensively researched and discussed by a number of UFO researchers. Their conclusions vary widely suggesting that the deep disagreement among private UFO researchers over the motivations and activities of the Greys, very likely mirrors that of official government sources. As long as such uncertainty continues, it appears that disclosure may continue to be deferred until key global events no longer makes the non-disclosure policy viable. An examination of the evidence presented in this paper in terms of whistleblower or witness testimonies raises tremendous problems in terms of coming to a conclusive opinion over: first, the truth of the alleged ‘First Contact’ meeting between Eisenhower and extraterrestrials; second, claims of more than one set of extraterrestrials meeting with the Eisenhower administration; and third, the various policy issues that arise from the meetings and subsequent treaty that was allegedly signed. Most perplexing is how to view the testimonies of whistleblowers who appear sincere, positively motivated and have plausible stories, yet are plagued by controversy, allegations of fraud, inconsistency and other irregularities. Due to the official secrecy policy adopted towards the extraterrestrial presence, it may be concluded that some if not most of the controversy surrounding these individuals has been caused by military-intelligence agencies intent on discrediting whistleblower or witness testimonies. While there continues to be uncertainty caused by the controversy surrounding whistleblower testimonies and the role of military-intelligence agencies in generating this controversy, the bulk of evidence points to a ‘First Contact’ meeting having occurred during Eisenhower’s Palm Spring vacation on February 20-21, 1954. The testimonies suggest that the extraterrestrials in the First Contact event, a race of tall ‘Nordic’ extraterrestrials were spurned due to their reluctance to provide advanced technology in an agreement. A subsequent meeting and treaty was then signed with a different set of extraterrestrials, commonly called Greys, who did not have the same reluctance in exchanging extraterrestrial technology as part of an agreement. Most of the available evidence that has found its way into the public arena suggests that the extraterrestrial race with whom the treaty was signed, the Greys, are at best an enigma and at worst simply untrustworthy in their treatment of abducted civilians. The subsequent shift in witness reports from friendly extraterrestrial ‘contacts’ to disturbing ‘abductions’, suggest that the Eisenhower administration had signed a treaty with extraterrestrials whose motivations and activities are an enigma as far as the general public interest is concerned. The activities of the Grey extraterrestrials apparently continues to raise uncertainty for US national security agencies in terms of an appropriate strategic response. On the contrary, the friendly Nordic ‘space brothers’ faded from the scene since the Eisenhower administration saw them as not sufficiently motivated to serve the technological and strategic goals of US national security agencies. The question of when disclosure of the treaty signed by Eisenhower and of the extraterrestrial presence might occur is one that has long been anticipated. A recent economic event might be a signal that some form of disclosure is possible in the near future. According to Craig Copetas, Bloomberg News correspondent in Paris, the World Economic Forum at Davos Switzerland from January 21-25, 2004, discussed extraterrestrials at one or more closed sessions. In a story published on January 21, Copetas claimed that “forum officials maintain their five-day program on Partnering for Security and Prosperity requires an unambiguous examination of extraterrestrial presence on Earth.”  The Davos Forum is a gauge for trends in the global economy and discusses various topics that have a long term effect on business. The inclusion of conspiracy theories of an extraterrestrial presence and technologies on the formal agenda has significance well beyond the hypothetical nature of the discussion. Various national governments may well be tacitly letting the word out to their ‘friends in the business community’, that they had better start exploring how a future disclosure of an extraterrestrial presence and technologies will influence the business world. Given the discussion at Davos on January 21, 2004, of a possible extraterrestrial presence, and the forthcoming 50th anniversary of Eisenhower’s treaty on February 20-21, it might be speculated that a disclosure announcement may soon be made. As we approach the 50th anniversary of a First Contact meeting between the US and an extraterrestrial race, we must do so with wonder at the awesome nature of this occasion. At the same time, we must do whatever necessary to make public the full details of the meeting, and the apparent spurning of what appears to be a principled extraterrestrial race that rejected technology transfers while dangerous weapons programs were in place in the US and elsewhere on the planet. The subsequent signing of a treaty at a later date with an extraterrestrial race willing to trade technology in exchange for ‘limited medical experiments’ with civilians will surely go down in history as a deeply significant event whose effects continues to reverberate through human society. Finally, we must be alert to the mounting evidence that while a treaty was signed after the 1954 ‘First Contact’ event, it may well have been with the ‘wrong extraterrestrials’, and that this might adversely impact on humanity if not dealt with in an open, transparent and truthful manner. We live on the verge of a bold new future with many uncertainties over the secrecy surrounding the extraterrestrial presence, what best prepares us as this information enters into the public arena are our faith, democratic values, and dedication to truth. I sincerely thank H.M for his generous support of my research and providing the intellectually stimulating environment for many of the ideas in the paper to be developed. Grateful thanks also to George Arnold and two other librarians at American University’s Main Library who provided research assistance. I am also grateful to William Hamilton for permission to cite his personal notes of a 1991 interview with Sgt Charles L. Suggs. Finally thanks to Clay and Shawn Pickering for arranging interviews with individuals who had personal knowledge of meetings between the Eisenhower administration and extraterrestrials. John Spencer, “Light, Gerald,” The UFO Encyclopedia: Inexplicable Sightings, Alien Abductions, Close Encounters, Brilliant Hoaxes (Avon Books, 1991) 188. “A Covenant With Death by Bill Cooper,” http://www.alienshift.com/id40.html Also in William Cooper, Behold a Pale Horse (Light Technology Publishing 1991), 203. Franklin Winthrop Allen was author of Instructions for Reporters for Hearings Before the Interstate Commerce Committee (Dispatch Press, 1918). Personal notes from Bill Hamilton from a 1991 interview with Sgt Suggs. Personal notes from William Hamilton from a 1991 interview with Sgt Suggs. See also William Hamilton, Cosmic Top Secret (Inner Light, 1992). Milton William Cooper, “Origin, Identity, and Purpose of MJ-12,” http://www.geocities.com/Area51/Shadowlands/6583/maji007.html . See also Cooper, Behold A Pale Horse, 202. Milton William Cooper, “Origin, Identity, and Purpose of MJ-12,” http://www.geocities.com/Area51/Shadowlands/6583/maji007.html, also in Cooper, Behold a Pale Horse, 203-04. Phillip Corso, The Day After Roswell (Pocket Books, 1997) 292. Milton William Cooper, “Origin, Identity, and Purpose of MJ-12,” http://www.geocities.com/Area51/Shadowlands/6583/maji007.html, also in Cooper, Behold a Pale Horse, 209. Author interviews with anonymous whistleblowers.